make / amplify bee mine! Creating texture and dimension is so easy with the amazing Neon Amplify. The perfect amount of bulk to create loads of interest on cards and other projects - have you tried your hand at it yet? You will simply love it! 1. Fold a base card measuring 4.5x6 inches when folded. 2. Cut a front panel slightly smaller. 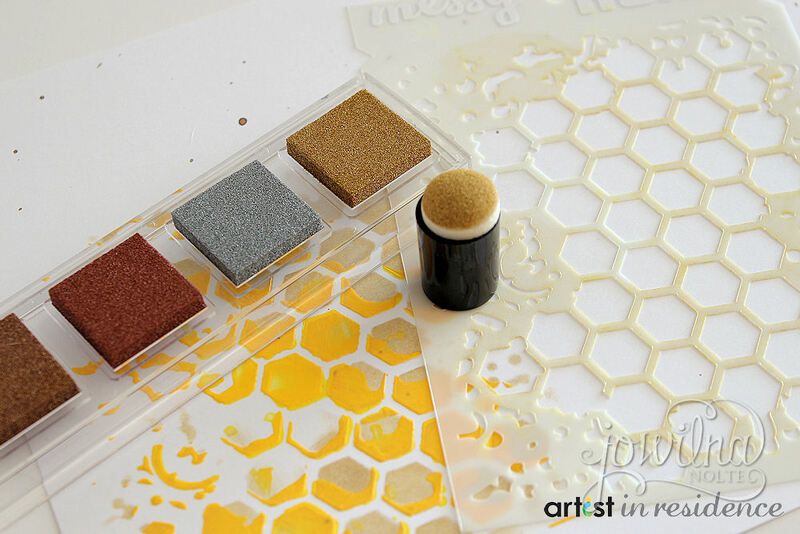 Use a honeycomb stencil and stencil through it on the panel using amplify and a palette knife. 3. Leave the Amplify to dry overnight. 4. 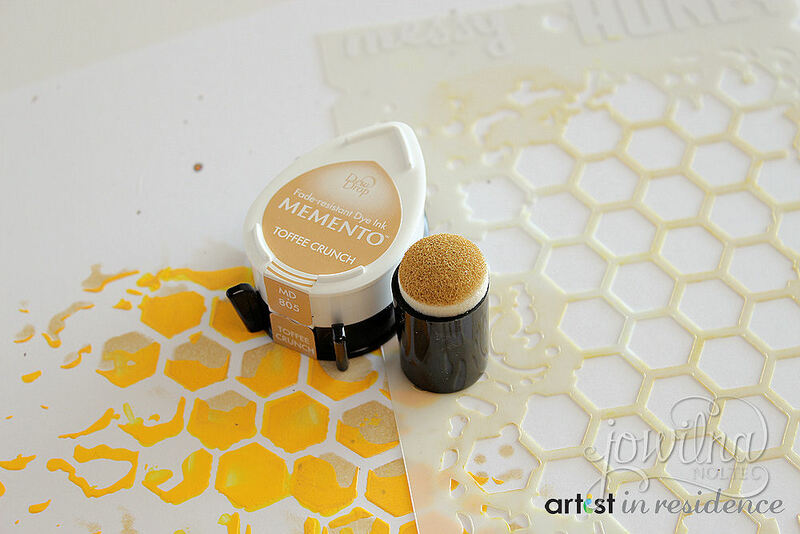 Use the same stencil and ink over the original image using Memento Coffee Crunch and sponge dauber. 5. Stencil over the Coffee Crunch using Gold Delicata 4 Inkpad and sponge dauber. 6. Use a heat gun and heat the Amplify. The heat will cause the Amplify to puff up and create a gorgeous texture. 7. Die cut Bee sentiment and adhere to the front of your card. Add embellishments to finish it off. 8. Add GlazOn inside the eye of the bee and let dry.